Are you a Black Friday shopper? 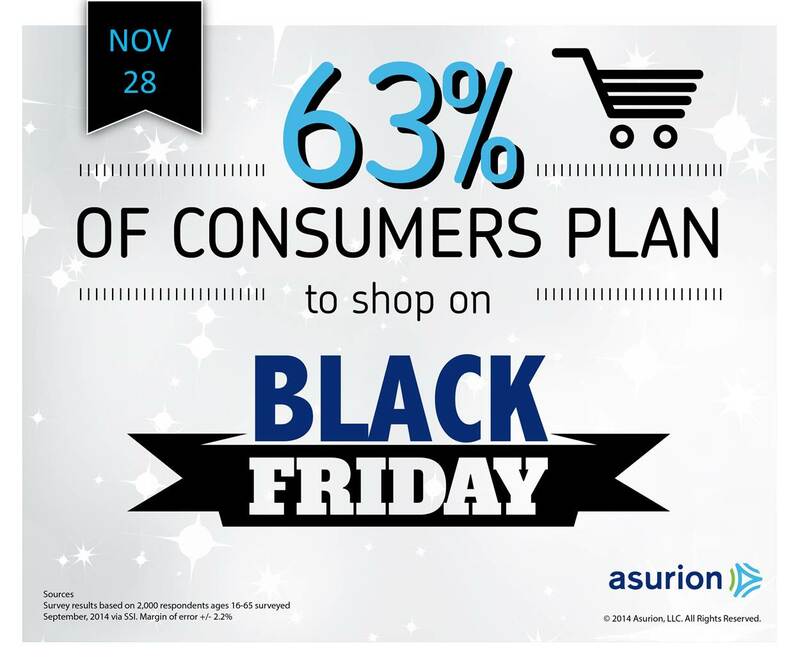 It’s a trend many shoppers have embraced, with 63% of consumers planning to hit the stores this Black Friday. While it may seem crazy to trade in your tryptophan- induced nap and a cozy spot on the couch to go stand in line for hours in the cold waiting for stores to open, these dedicated shoppers may be on to something. This year retailers are expected to offer the lowest prices of the season on Thanksgiving Day, with an average discount of 24% on the hottest items, according to an Adobe report. So what are the hottest items this year? Adobe reports the top gifts include the iPhone 6 or 6+, Play Station 4, a Roku and Call of Duty. If you’re one of the millions of consumers hitting door busters this Black Friday, consider adding a protection plan to your gift. Visit Asurion.com/extended-warranty/ to learn more.